Yesterday I posted 7 Things that Forgiveness is NOT. It seems appropriate to also post 7 things that forgiveness IS. Letting go of a right to get even – You give up the right for revenge when you forgive someone. Dropping resentment and grudge – Forgiveness releases the angst towards the person who did the injury. A choice – Forgiveness isn’t easy, but it’s a conscious decision made by the injured party. A step towards healing – Forgiveness releases a weight from the shoulders of the injured, opening the door for emotions to heal. An opportunity to display grace – There is no greater picture of God’s forgiveness of us than for us to forgive one another. The removal of a roadblock – Forgiveness removes the barrier between us and living at peace again with ourselves, others, and God. I know these are difficult. I know some of the pain runs deep. I can’t describe it for you adequately, but I can tell you that forgiveness IS all it’s claims to be. If you truly want to be free of the hold the injury has on your heart, forgive the one who injured you. What would you add to my list of 7 things forgiveness IS? 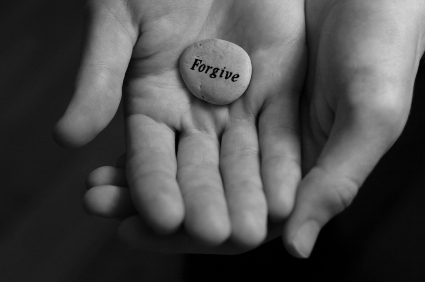 What is the most difficult situation you’ve had to forgive? Do you have a story that could encourage us? My brother (a Roman Catholic Priest) was murdered New Year’s Day 2014. And as I was traveling to his funeral, the Lord gave me a vision of my brother and his murderer spending an eternity talking to each other about how Jesus changed their lives! Just as the Apostle Paul and Stephen will be doing. This brings me great comfort and hope. I pray for this mans salvation. God gave me the ability to forgive within days of this happening. The Lord also reminded me that my sin is no different than this mans, we both put Jesus on that cross, and both our sins killed him. There is no degree of sin, there’s just sin. The wages of sin is death. My husband has lied and manipulated me for 13 years. He has recently been diagnosed with HIV and AIDS and has had other STD’s. God has protected me and I am healthy and free from any illness. I have forgiven him in the past and have chosen to stay with him but now I feel God is telling me it’s time for me to remove myself from this toxic relationship. I say I have forgiven him but I really want to be sure I have because I know God requires that of me. I am now without a home and have I also think he should pay restitution but I want to make sure I’m not feeling that way because I haven’t forgiven him. My husband has lied and manipulated me for 13 years. He has recently been diagnosed with HIV and AIDS and has had other STD’s. God has protected me and I am healthy and free from any illness. I have forgiven him in the past and have chosen to stay with him but now I feel God is telling me it’s time for me to remove myself from this toxic relationship. I say I have forgiven him but I really want to be sure I have because I know God requires that of me. I am now without a homeBut I also think he should pay restitution but I want to make sure I’m not feeling that way because I haven’t forgiven him. For a while now I have been doing great with moving forward, but just now the pain hit hard, emphatically. My problem is, I never had closure with the person who hurt me. I emailed her, texted her, and even tried to sit down with her, but she refuse to even acknowledge me, nor hold herself accountable for the hurtful things she said about me. This woman is my significant other's Mother. Even right after a nightmare night with her, she behaved as if nothing happened, matter of fact every time she said something painful, and very impudent she always put on an act. I just don't know what to do! I told myself last year that I do not need to have closure in order to move on, but I'm starting to feel otherwise. I want to forgive my husband for choosing drugs and lieing to me. I feel he manipulates me and says I have not forgiven him because I want a divorce. I have prayed that he would die if he is saved and get past the drug addiction because I know the pain that comes with drug addiction. I don't want harm to come to him just for him to leave me and the children alone. I have tried and tried but I feel like a prisoner with him. I am scared that I haven't forgiven him. I do get angry but how do I know for sure I have forgiven him? It terrifies to think that God will not forgive me. Does forgiving him mean I have to stay married.to him? I let the word can't get over his drug addiction. I want him to get better but I still want a divorce. Forgiveness has nothing to do with marital status. I can't answer what you're supposed to do but forgiveness is separate from that. 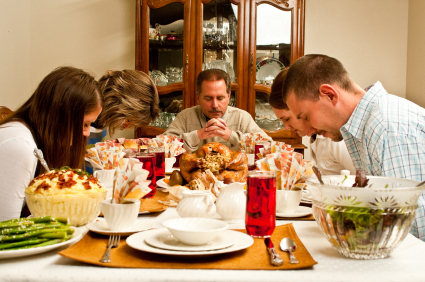 Some who are already divorced and living separate lives still need to forgive. 7 Things Forgiveness is, when you can be around that person who wronged you and show them LOVE. Not saying you have to sit down and hold a conversation, but speak and be pleasant. To piggyback on forgiveness being an opportunity to show grace, I think that it also allows God to be heard. You’re right in that just making a conscious decision to forgive isn’t always that simple and honestly, few people have the inner strength and submissiveness to forgive on their own. In most instances it relies on giving the injustice committed over to God and asking for His strength and ability to forgive. Thus, when we forgive we are actually being a conduit for God to speak, move, and potentially be seen and felt. One never knows, that act of forgiveness could be the one thing a person was needing to set their life on a different path. We just have to be willing to allow God to use us to connect to another, then leave the impact of the connection up to Him. Ron…thanks for reposting. Earlier this year I posted my story and what I've discovered about forgiveness. 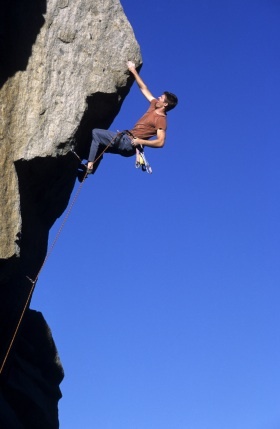 The first words you used in your first point sum it up: LETTING GO! It's much harder than one would expect (unless you've been hurt! ), but it's so powerful. My husband & I’ve been married 11 years. Before our marriage, I was saved & within 2 yrs was called by God to be a missionary in a foreign country. Right before I sent my paperwork to the mission board, I met my husband. I had no interest in men, & was totally in love with God. Marriage was not a priority to say the least. I met my husband at work. He had just lost a million dollars in stock he owned & had to move to my city for a job in his field of expertise. We became friends. Because he told me about losing his money & was on anti-depressants, I began telling him about Jesus. He said he didn’t believe in God but was open to the idea. I never meant to fall in love, I was honestly just trying to help him. But he asked me to marry him & I did, all the while thinking I could change him. We got married & moved in together. He went to church with me & within 1 month prayed for salvation. When I didn’t see fruit in his life, I knew something was wrong. In addition to that, I found out he was an alcoholic, did recreational drugs & wanted nothing to do with God but this was 6 months into our marriage. I was completely shattered. He's not a typical atheist either. By this, I mean he's not someone like C. S. Lewis or Lee Strobel who set out to disprove God & found out He was real. My husband says it would be a waste of his time to seek God; that Jesus is a crutch for Christians & feels no void in his heart that needs filling & will die happy. I continued trying to point him to Jesus. At first, your typical stories, tracts, & book suggestions. I finally realized it wasn’t working. I can’t tell you how many people have been praying for him over the years. He won’t listen to anyone about Jesus & says he’s been preached too all his life & is tired of it. He is verbally abusive to me & speaks horribly about Jesus. He spends much of his time away from me doing things he likes to do. He won’t go to counseling. I finally became depressed & filled with resentment. As a Christian I knew about forgiveness, but I learned that I still had resentment towards him. I asked God for forgiveness for the resentment & told Him that I forgave my husband & began praying for God to bless him. But I am still depressed & lonely & feel sad because I never became a missionary. I am really trying hard but it’s something I have to do on a day by day basis. Because of my depression, do you think that means I haven’t forgiven him? I don't think God sends depression upon you because you haven't forgiven someone. I think your circumstances and emotional health are probably causing that. And, if you are outside of God's will, then you will feel a sense of loss there. I would advise you to get some professional help to diagnose the causes of depression. You've had a lot of junk. It could be something that can be helped medically or with counseling. But, don't let it go without a professional opinion. GO DO ADONAI'S WORK. Go be the missionary that he called you to be. Live your life according to God's word and you will find happiness (better yet, joy) again because you will be doing His work again. Happiness comes and goes because it is based on the circumstances of events surrounding you. Joy comes from Adonai and Him alone, as a spiritual fruit. You've halted your walk with Christ so that your husband can keep up with you. Unfortunately he chose not to do so, and your choice of him rather that Jesus has led to your unhappiness that he sees and thus uses as proof that God do not bring us joy. Again, go do Adonai's work, your husband will eventually see the happiness and joy that results…he will know that God gave it back to you (a gift you always had) and that he as a husband did not. He still might not choose the way to God and that will always grieve you; however, forgive him and live your life in God's Bright Shadow–then all you'll see is His light. 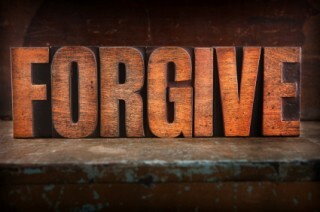 What an awesome blog:) really clarified forgiveness for me. Sometimes forgiveness is an hourly event. I have in laws who have hurt me deeply, and I find I need to keep forgiving them because there's so much that's been done, so many hurts. Speaking to them about it would do no good, because they don't care… I think that hurts the most. I keep praying and trying… Again, sometimes it's an hourly event. This sounds like me!! Im lying here,begging the Lord to help be free from all the anger and more the frustration my inlaws brought into my life. Im so sorry for you! I also keep forgiving,everytime a thing they've done omes up….they STILL do hurtfull things. I would like to know,if its ok if i dont see them. Im really broken by these people. im not a christian but i found your advice very helpful as im greving from a fall out with my mother in law and im trying to heal, i have to accept that she doesn't like me and i can never go back to my former relationship. I'm so sorry for your loss. Praying for you now. The sadness in this is that our granddaughter's mother used your "7 Things Forgiveness Is Not" as… in her mind… a "Christian" reason for cutting off all ties between us and our granddaughter. I only wish that she could've (or would've) read this list as a means to understand that all of mankind is imperfect and will make mistakes often. It's when we meditate on where WE would be without Christ's shed blood and forgiveness of sins that this list makes an impact… if Christ can forgive me for my human imperfection, how much more so should an imperfect human being forgive another imperfect human being? I'm so sorry. Obviously people look for excuses to justify their actions. That was the original sin. Praying for you, your granddaughter's mother and the entire family. Food for thought: in Hebrew, the verb /nasah/ means both "to forgive" and "to lift up". I know we mentioned this on yesterday's post but I still think Forgiveness IS setting proper boundaries. Great post Pastor Ron. I’ll be honest. I’m still struggling to forgive someone who hurt my children and to forgive myself for allowing that person into our lives. My children are grown up now with children of their own but they still bear the scars from this evil person. Some days I speak out the forgiveness having made the choice. Then other days I bear the offense again. I know that God will help me to forgive totally, as He forgave me and I definitely am praying His will asking for help with this 🙂 He has brought me to the place if wanting to forgive. For years I could not even think about it without getting very angry. Yeah, I’m not done yet. Thanks for this. I already wrote out these points and they are on my fridge! Thanks Elayn! Glad to be on the fridge! Forgiving some one relieves us and gives us peace of mind so that we can have a sound sleep and wake up in the morning with a calm feeling. I hope to visit India someday! God is doing great things there.